Sometimes Australian politicians allow personal foibles to overtake their public commitment. Take ten questions on some of our political masters' mighty mis-steps. 1. Which Western Australian Treasurer became known as the Seat Sniffer following his actions once a female staffer had left a chair? 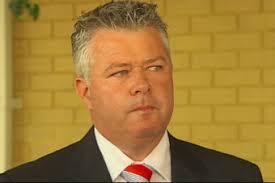 2. Who was the NSW police minister who in 2008 danced in his underwear with a female member of parliament? 3. Who was the first minister of the Turnbull government to resign after a big night in a Hong Kong bar? 4. Former Foreign Affairs Minister Gareth Evans admitted to a sexual affair with which member of the Australian Democrats? 5. Who was the Federal Treasurer who later admitted to having a sexual affair with a female principal private secretary? 6. Which NSW parliamentarian resigned in 2009 following revelations he was having an affair with a woman more than half his age? 7. Which leader of the Australian Democrats resigned after internal party ructions stemming from a variety of causes, including her affair with fellow Democrat senator Sid Spindler? 8. Which Australian P.M. was strongly suspected of having an affair with Lady Mary Fairfax? 9. In 2007 who was the member of the strongly conservative "Family First" party who resigned following the publication of photos on gay websites of him exposing himself? 10. Which Australian Prime Minister died of a heart attack in the company of his secretary, who was later revealed to be his lover?